Time for a handmade card. This one was made for my oldest niece, Miranda, while she happened to be visiting us from out of state on her birthday. Since she was here in person, the typical phone call given to family members on their special day just wouldn’t do. Fortunately, I had already spent hundreds (or could it really be thousands?) of dollars on stamps and doodads for my stash of creative stuff, so I was able to give her a card without having to spend a couple bucks! 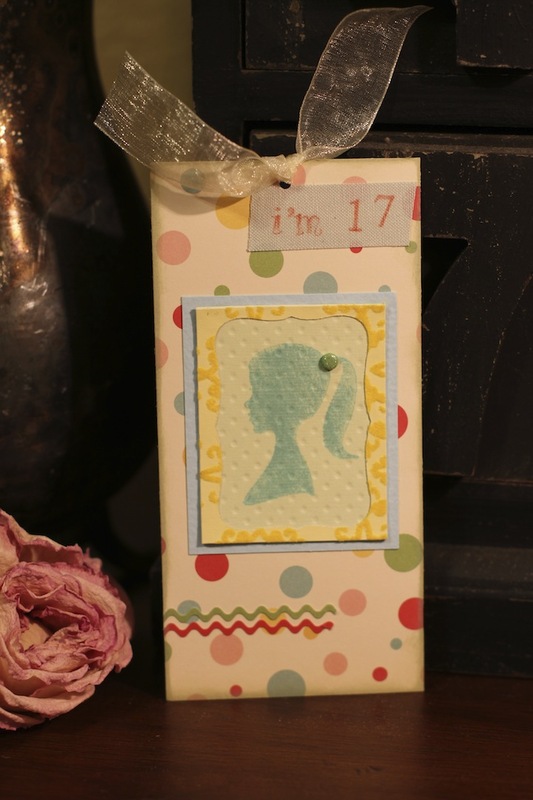 Happy Birthday to anyone celebrating your birth–even if you’re not a youthful 17. Now that I’ve recovered from all the Easter festivities of our own making or that we’ve been invited to, I can finish telling about them. As I do, I’ll be regaining strength from a fantastic green salad that one of these eggs is now part of. Which one do you think it is? I checked to be sure the Paas brand dyes are food safe before nibbling. By the way though, if your eggs have been left out of the fridge for over two hours, they are likely not safe to eat anymore. If they’re okay, go gobble them up within a week. 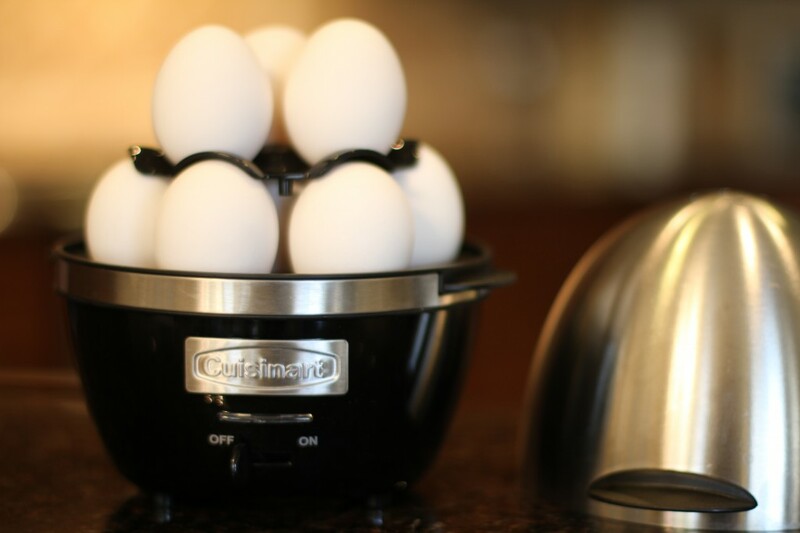 To get these eggs prepped for their makeovers, we used our egg cooker. So easy, and always with perfect results. Love that! We got the dyes ready while enjoying a carrot. 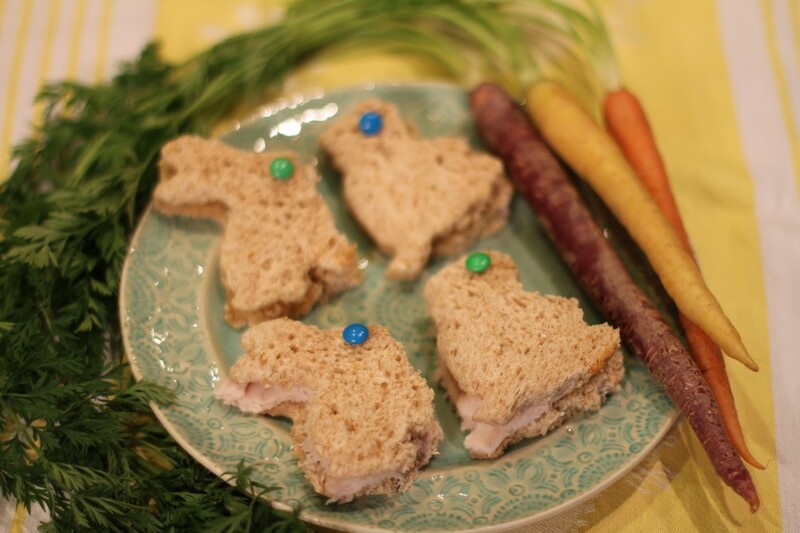 It’s an Easter Bunny-approved snack. 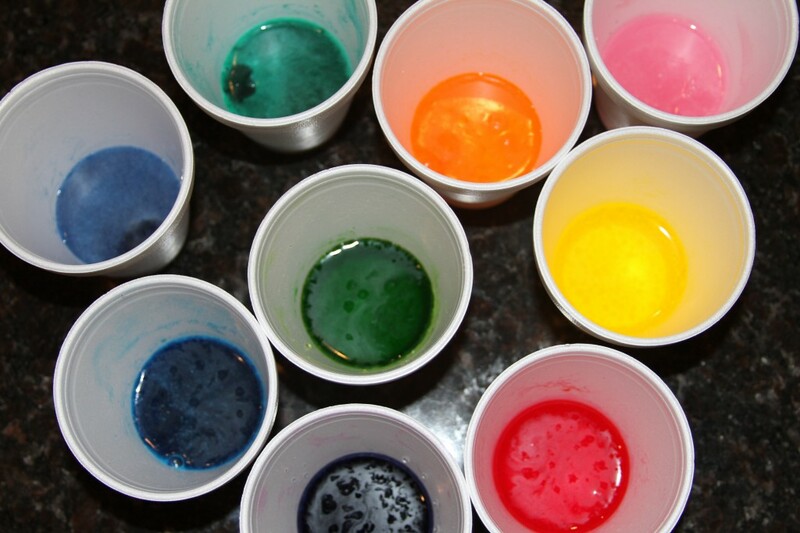 Dropping a dye pellet into each cup of distilled white vinegar was a lot of work. Whew! Time for another snack. 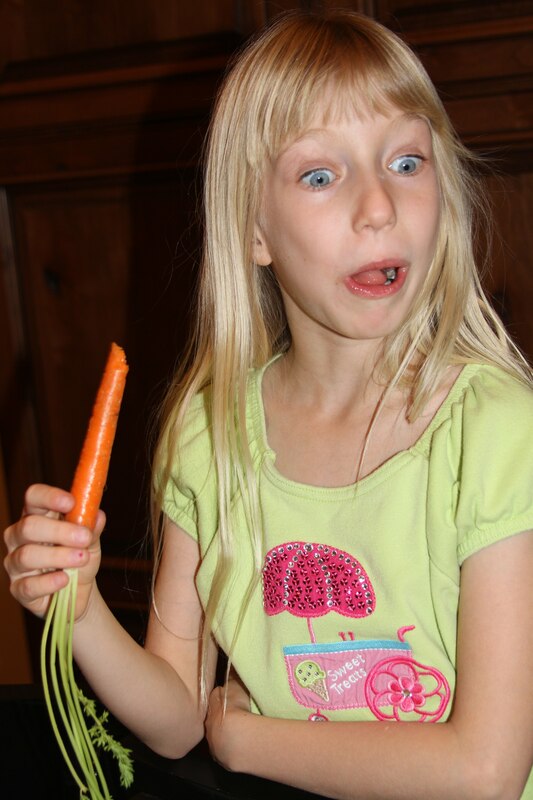 Sydney and Tanner went for the familiar orange carrots. Kerry and I braved the others, and to our delight. I found the yellow to have a rather spicy-sweet flavor. My new favorite carrot! He noticed that the purple one isn’t purple all the way through. Ohhhhhhhh…..
And hat’s off to the cookie cutter– one of my favorite inventions. 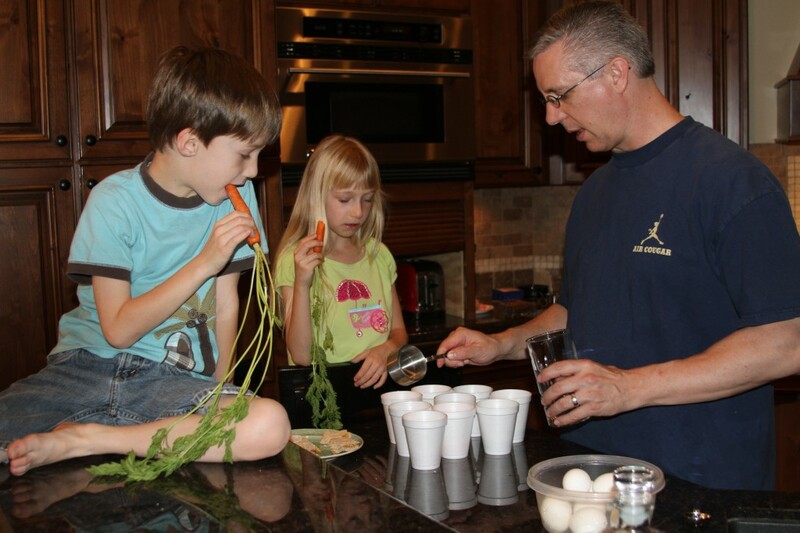 It’s amazing what healthy stuff we can get kids to at least try if it looks like something it really isn’t. 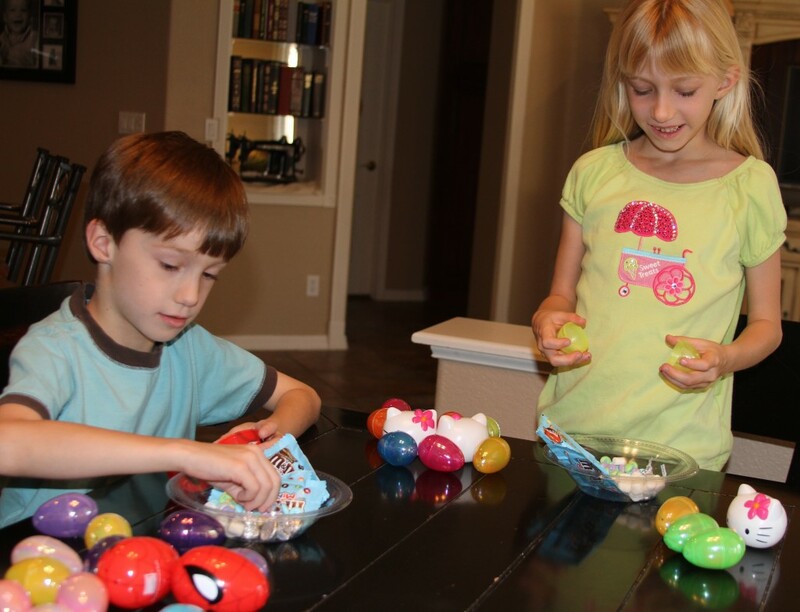 When it comes to candy-filled eggs, I say why not have the kids fill ’em? They love to! 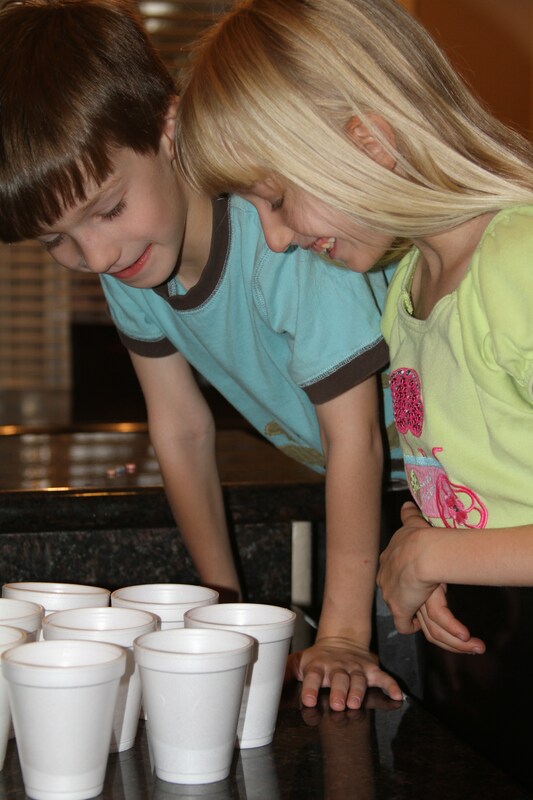 Then, the kids tuck themselves away in a room while Kerry and I place the eggs in other areas of the house. Sydney and Tanner like to hide some for their parents too! And I admit to whole-heartedly enjoying the game, just as I still adore hide-n-seek. 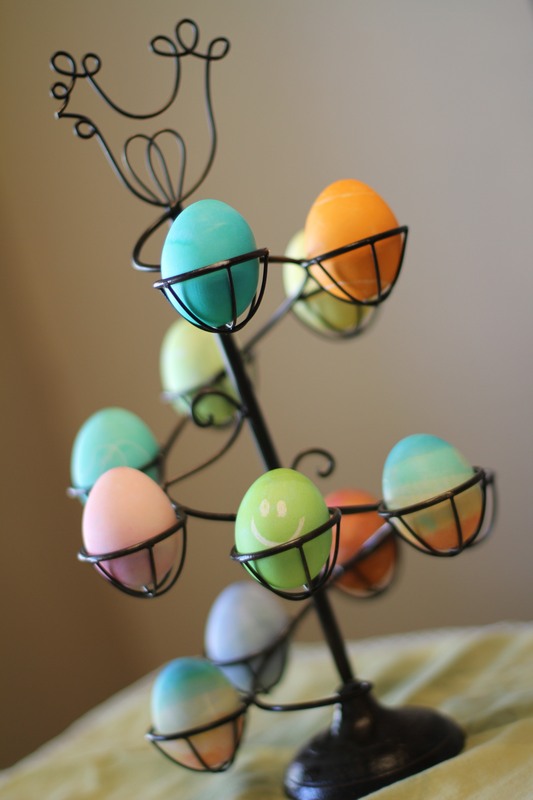 By the way, the egg that is was in my salad……….. the robin’s egg blue one at the top of the holder. Keep enjoying all that springtime has to offer!